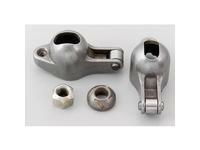 COMP Cams Magnum Roller Rockers are the ultimate street rocker. That’s because they were designed with the serious performance enthusiast in mind. They will help your engine make more power and last longer. 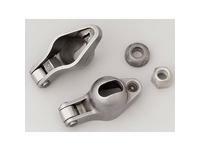 Magnum Roller Rocker Arms are made from 8620 chromemoly steel. 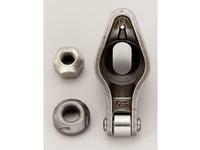 This makes them stronger than die cast aluminum or stamped steel rockers. 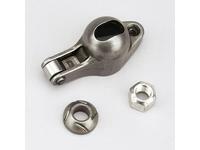 This superior material, along with the Magnum’s super stiff design assures maximum lift because this rocker arm will not flex. You can’t get maximum horsepower from your engine if your rocker ratio is off. 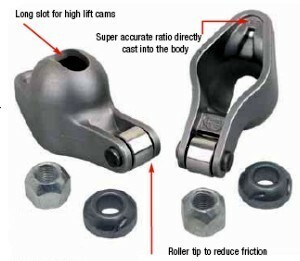 Comp Cams has checked other rockers and found rockers that were as much as .040” short on lift. The Magnum Rockers are super Accurate. They check dead on every time. The Magnum Roller Rockers can make between 15 and 30 horsepower over other rockers! Why? The secret is that not only does the roller tip reduce friction, the Magnum Rockers incredibly stiff design and super accurate ratios yield more effective valve lift. The roller tip design reduces friction by not scrubbing the valve end or pushing the valve stem hard against the valve guide. This in conjunction with super strong design of the rocker makes for a simple, bulletproof, and cost effective combination. 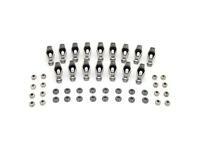 Comp Cams Magnum Roller Tip Rocker Set for Big Block Chevy and Ford Boss 302, 351C-400M, 429-460.. 1.72 Ratio. with 7/16" Stud. 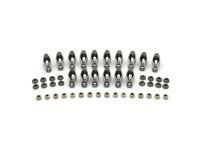 Comp Cams Magnum Roller Tip Rocker Set for Chevrolet V6's 200 - 262. 1.52 Ratio. with 3/8" Studs. 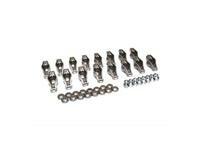 Comp Cams Magnum Roller Tip Rocker Set for Small Block Chevy 265-400. 1.5 ratio with 3/8" studs. 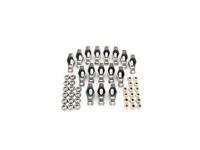 Comp Cams Magnum Roller Tip Rocker Set for 60º Chevy V6-173 C.I. 1.52 ratio with 10mm studs. 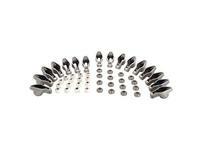 Comp Cams Magnum Roller Tip Rocker Set for 60º Chevy V6-173 C.I. 1.60 ratio with 10mm studs. 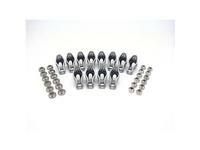 Comp Cams Magnum Roller Tip Rocker Set for Chevrolet V6's 200-262. 1.6 Ratio. with 3/8" Studs. 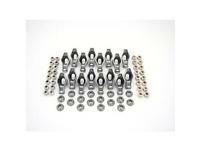 Comp Cams Magnum Roller Tip Rocker Set for Small Block Chevy and AMC V8's. 1.6 Ratio with 3/8" studs. 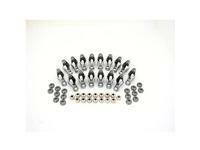 Comp Cams Magnum Roller Tip Rocker Set for Small Block Chevy 265-400. 1.52 Ratio. with 3/8" Studs. 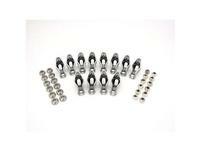 Comp Cams Magnum Roller Tip Rocker Set for Small Block Chevy 265-400. 1.6 Ratio. with 3/8" Studs. Comp Cams Magnum Roller Tip Rocker Set for Small Block Ford (1968-89 Rail-Type) 1.6 ratio with 3/8" studs (use with 4504-16 studs). 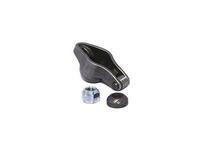 Comp Cams Magnum Roller Tip Rocker Set for Pontiac V8's 265-455. 1.65 ratio with 7/16" studs.